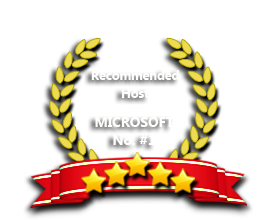 ASPHostPortal.com is a premier Windows hosting which focus on offering affordable SQL SSRS 2012 hosting. We are the perfect solution for SQL SSRS 2012 Hosting. SQL Reporting Service (SSRS) 2012 Hosting is Here! ASPHostPortal.com offers SQL 2012 Reporting Services Hosting as an optional addon. SQL Server 2012 Reporting Services (SSRS 2012) is a comprehensive solution for real-time decision making. SQL Server 2012 helps you create reports for printing and for web-based viewing. SSRS 2012 also allows for ad-hoc data visualization. This latest release of the SQL Server presents new features and improvements that increase the power and efficiency of architects, developers, and administrators who design, develop, and maintain data storage systems. As for some Exchange administrators this feature is very similar to Database Availability Groups (DAG) in Exchange 2010. A SQL Server multisubnet failover cluster is a design where all failover cluster node is connected to a different networks or different set of networks. In a SQL Server failover-cluster instance, only one node can own the cluster which is sometimes known as a single copy cluster. This new feature offers a database-specific substitute to automatic checkpoints, which are shaped by a server property. An indirect checkpoint implements a new checkpointing formula for the DB Engine. This offers a more accurate assurance of database recovery time in DR event or a failover than is provided by automatic-checkpoints. To guarantee that database recovery does not top allowable downtime for a given db, you can stipulate the maximum acceptable downtime for that database. Our Windows Cloud Hosting fully supports SQL Server 2012 Reporting Services hosting. You are more than welcome to try our Free Windows Cloud Hosting before you decide to buy. You can get your Free Cloud Windows hosting account up and running within the next few minutes.